We start our new adventure back where it all started, Empire City. The story takes place a short time after the events of the first game, the city is being rebuilt and our hero (or anti-hero) Cole MacGrath and his sidekick Zeke have been approached by a woman by the name of Kuo, who knows all about Cole’s power and the upcoming threat which was revealed at the end of the first game. Kuo tells Cole that a city called New Marais houses the powers he is looking for. New Marais isn’t the party-central that Cole and Zeke once knew it as; the people of the city have been infected with the same plague which threatened the lives of those in Empire City, the police force is almost entirely wiped out and a faction leader by the name of Bertrand has taken over as authority figure of the city with his private militia, hunting down Cole and anyone else whose body possesses the conduit gene capable of harnessing superhuman powers. 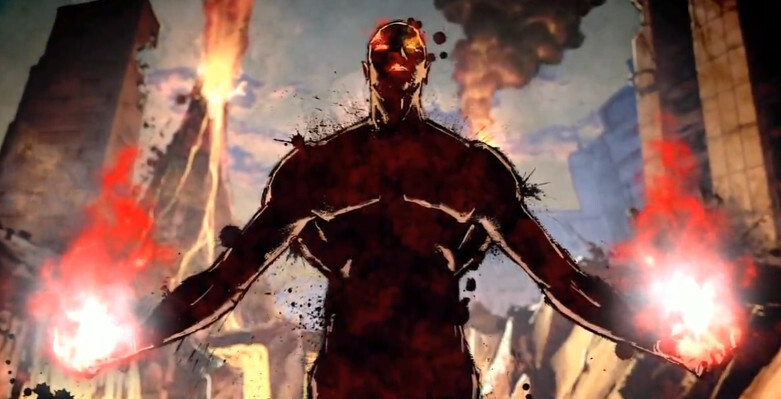 If that wasn’t enough, mysterious mutants have been showing up and causing terror in the city. It’s a solid plot with just the right number of twists and turns, the dialogue is well crafted and you might even be surprised by the true intentions of some characters. 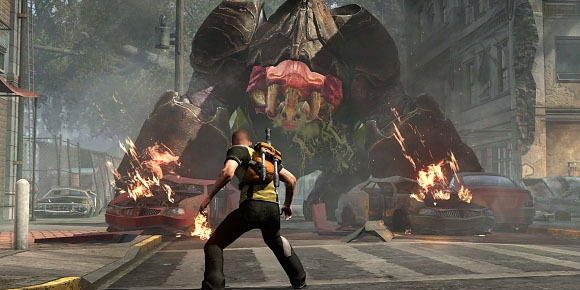 People who played the first inFAMOUS game will be familiar with the gameplay of the sequel; you run, jump, blast and glide just like you did back in 2009. Completing side-missions will clear that segment of the map from militia activity, power increasing Blast Shards are scattered throughout the city and there are side-missions which will change the balance of your karma. The main difference this time around is the introduction of new elements; decided by which karmic alignment you’re in, you’re given either the ability of fire or ice, reflected by your new superhuman partners, they act as the Angel and Devil on your shoulders talking into your ears, so to speak. With these new elements come interesting new powers, but I’ll leave those surprises for you to discover yourself. If you want to take a break from the main campaign, why not have a go at the User Generated Content missions, the UGC is a tool in which the player can create their own missions to share with others ala LittleBigPlanet, the missions can be seen anywhere in the world as well as filtered to show top rated missions, newest missions etc. It’s a nice touch and there are already been some very interesting missions being created, hopefully even better over time. 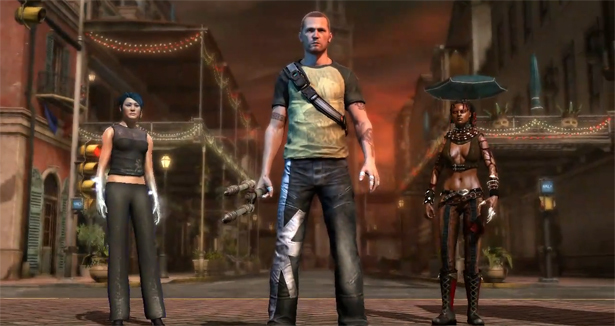 I’m a huge fan of animation, which is why the very first thing I noticed in inFAMOUS 2 was how much effort has been made to improve the cutscene animations. Gone are the days of scripted walk paths and unsynched mouth movements, this game features lifelike movements and emotions. The second thing I noticed was the attention to variety; Empire City was a very grey place to live, New Marais on the other hand has a wide range of areas from lush green marshlands to an appropriately named “Flood City”, it’s a lot prettier than Empire City in practically every way possible. 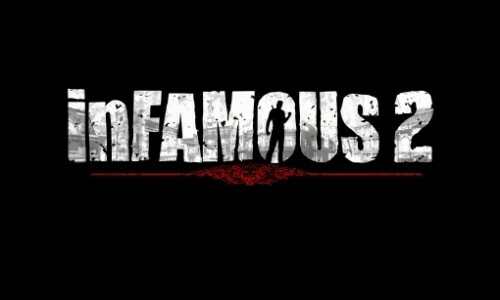 inFAMOUS 2 is an excellent example of how to do a sequel, Sucker Punch Studios have always been an “if it ain’t broke, don’t fix it” development team and they’ve done a great job of adding just enough new content to keep the series fresh. The campaign is well paced and will get about 15-17 hours out of your first playthrough, leaving you with a desire to see what would happen if you decided to start a new game and switch karmic alignments. The parkour climbing still has its issues of being too sticky but it’s nothing that would ruin an otherwise well designed game. Now if only we can get some kind of “Adventures of Zeke” spin-off game for the Playstation Vita. Cheers pal. I do appericate the writing.